While ago we covered two of the successful 3D printing pens to draw in the 3D peace using plastic filaments, the Lix Pen and CreoPop. The 3D printing using the Fused Deposition Modeling depends on moulding the plastic filament using the printing nozzle to build the shape in the 3D space. The 3D printing pens use the same technique in the form of a pen. The 3D printing manufacturer, Dim3printing, announced plans to release a new 3D printing pen on Kickstarter using the same technology as the other released pens. The 3DFormer pen is designed to meet the ergonomic of human hand for easy holding and usage. The pen’s design is hexagon cylindrical shape with 27 mm grip width. The new 3DFormer is very quite as there is no fan noise. It does not have a button on the top for easy use. The filament does not stick, which helps to create smooth lines. This advantage were not available in the previous similar products. The new pen is supported by a cooling technology that prevent clogging and increased heat while using. New cooling system keeps the right temperature for extrusion. The new pen is supported by two different print speeds. Low speed extrudes the filament with the rate of 0.5mm per second. The high speed is 20mm per second. The 3DFormer uses two filament types: the ABS and PLA, which are cheap and affordable comparing with the other 3D printing materials. 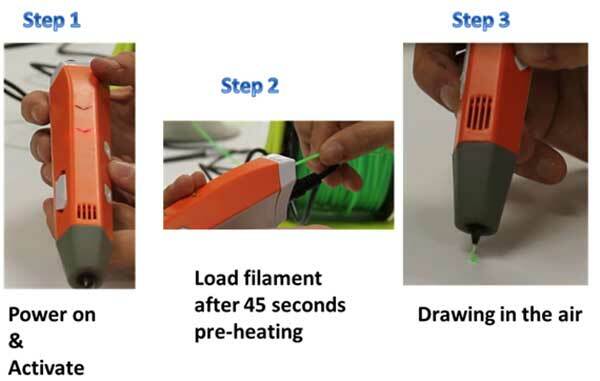 Where to use 3DFormer 3D printing pen? The new 3D printing pen the possibilities to change the tools we used to think, prototype and even play. It can help turning you sketch draft into 3D visual ideas. During the brainstorming sessions, the 3D printing pens can be used during design meetings to present the ideas quickly in the 3D space instead of papers and pens. The new 3D printing pen can be used in the education purposes as part of the STEM education project. 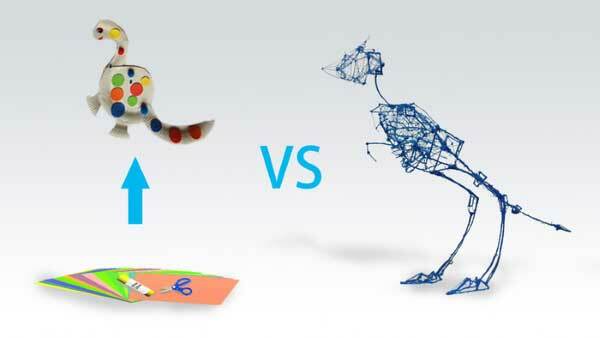 Children can visualize and design their own dreams, ideas and even toys by drawing them into the 3D space. In 2013, the concept design for project was initiated. During 2014, the company developed number of beta versions and introduced the demo version during the CES 2015 conference and CHA Mega Show 2015. The final mass production and shipping for the project is expected in April 2015 based on the Kickstarter page. This is a cool invention. How and where can I buy it?